This place is "rusty gold” as Mike Wolfe (of American Pickers fame) would say. Champy’s is the kind of place where the waitresses wear tanks and short shorts and the cooks wear logo t-shirts. Strung lights in the open patio and dining area cast a reddish glow on the laid-back restaurant where fried chicken rules the roost and checkered tablecloths dominate. 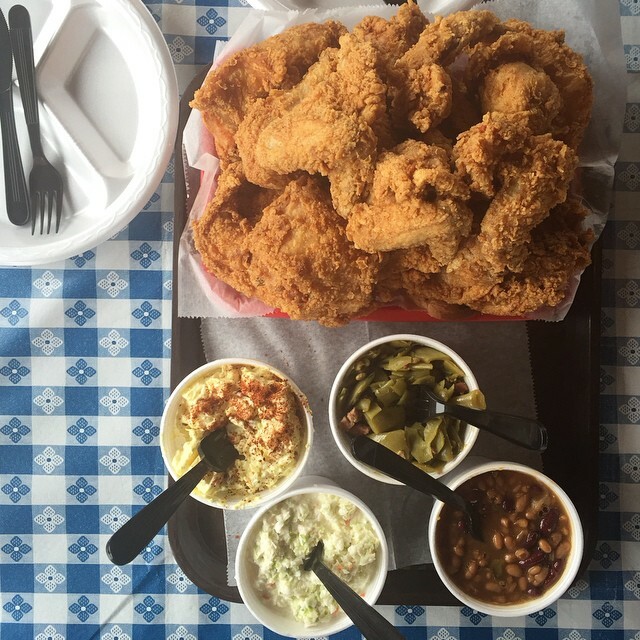 Go here if you’re craving a low-key, very Southern (meaning finger-licking good and fried everything) meal. Easily the best fried chicken in Chattanooga, but I think their best dish is the grilled sausage with cheese and pickles. It’s salty, sweet, and sour, and the perfect match for a cold beer.